These bolts are perfect for securing drivers in premium quality loudspeaker construction. The aesthetically pleasing security hex style drive offers a simple and elegant look that at the same time can help prevent unauthorized driver removal. 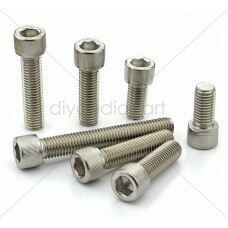 Stainless steel bolts are not recommended for replacing high tensile bolts.